Learn how to automate RSS content directly to your Twitter timeline with a custom overlayed message in the bottom left of the screen. This is a great way to curate RSS feeds on autopilot with Twitter hashtags included. This works for most RSS feeds. The tools we need to use this for this method are Sniply and Twitterfeed. These are both aimed at curators of content and sit between the content origin (the RSS feed) and the content destination (Twitter timeline). An exact step by step guide is included in video form at the bottom of this page. I’ve written a short guide on finding the RSS feed of a website especially for this article. You might be looking for the feed of a website or the feed of a social media profile. Sometimes it can be tricky because there will be no easy way to subscribe to a user’s feed other than following. But we don’t want to do that – we want to lift the curtain and go behind the scenes. Read my guide to finding RSS website feeds. (Opens in new window). 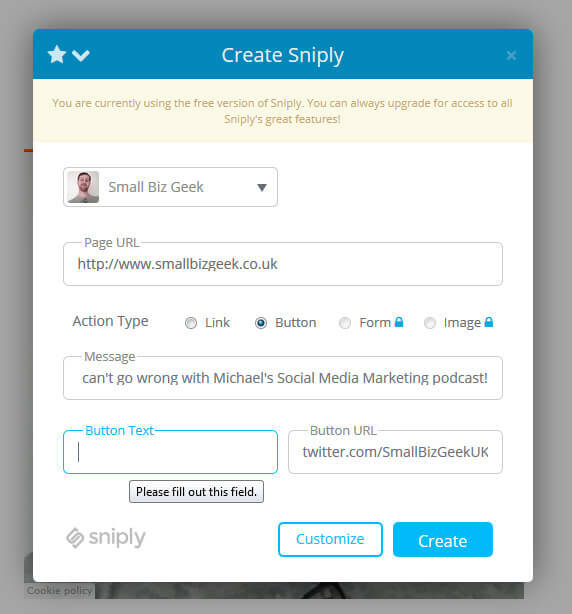 Sniply allows you to add an overlayed custom message with a link back to your Twitter profile and an external link of your choice. Every time you share someone else’s content, the message is overlayed on the webpage you have shared in the bottom left corner. What I love about this message overlay is that clicking my profile picture links back to my Twitter profile while the blue “Button” can link to anything you want. I use the “Button” that to point back to my Twitter profile too. Basic analytics tracking is included with free accounts. 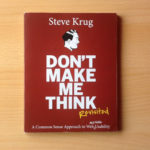 Seth Godin writes a new blog daily, and I’ve set up his RSS feed to route through my Sniply account and tweet the link every time he posts a new blog. Click this link and you’ll see the Sniply message floating along the bottom of the page on Seth’s blog. You don’t HAVE to use a call to action. If you’re being a good curator, you could simply write some kind words or additional info about the RSS feed you’re posting. For example, I share Michael Stelzner’s Social Media Examiner Podcast every Friday because I already know how good the shows are. My followers need to see this stuff and so every new RSS item gets auto Tweeted through my Sniply account like this. This endorsement overlay is still giving you exposure as the “curator” when people click the link and consume the content. Setting up the floating overlay involves first creating a new Snip. You do this by clicking Create Snip. It doesn’t matter what URL you enter because this is not relevant at this point. We’re only wanting to create a new Snip in order to generate the message overlay we’ll be using with the RSS feed you want to aggregate. 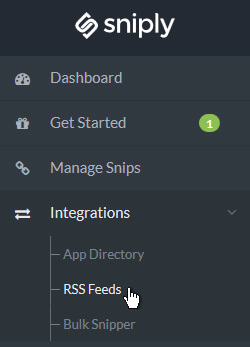 In a nutshell, setting up a Sniply RSS feed involves using the RSS Feeds link on the Integrations menu. 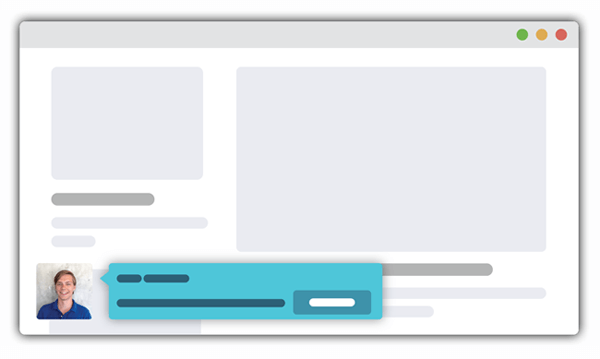 Then you’ll need to create a new Snip to generate the message for the floating overlay that appears on every piece of content that gets shared. If you’re aggregating items from a YouTube RSS feed, it is extremely important to build the RSS link correctly otherwise you’ll have problems routing it through TwitterFeed. This free app can fetch and post RSS feeds to your verified social accounts. It works in a similar way to RSS Graffiti because it can scan a feed at regular intervals to search for fresh items to aggregate to Twitter, Facebook or LinkedIn. From what I can tell there is no limit on how many feeds you can set up to post to your social accounts. I am using the free version so I’m prepared for the day when I get a message telling me I’ve used up the maximum quota for adding feeds and that I need to upgrade. Maybe I’ll just open a second account. The advanced options is what you need to pay close attention to. This is where you configure exactly how your RSS items will be posted to your social timeline. Twitterfeed also lets you add a prefix and suffix to the Tweet automatically. I use this to add hashtags or @ mentions to give credit and alert the original creator of the content through Twitter notifications. This automatic RSS aggregation is a good technique if you’re sharing content from a blogger, podcaster or YouTuber you trust. If you would usually share their content anyway, it is reasonable to have it Tweeted out to your timeline and give your followers what you would want them to see. Another reason I like this system is that I now use my Twitter timeline as my RSS reader. Google reader has been retired along with iGoogle (why did they get rid of that?) so Twitter is a good replacement. I use Twitter as my RSS reader using the above steps. It is great for surfacing the content I am already interested in as well gaining new followers! Update: The video below includes a demo on how to aggregate YouTube videos via Snipy to your Twitter. Please be advised that YouTube has updated its API, so the RSS feed mentioned in the video for YouTube no longer works. To find the new YouTube RSS URL see this article. If you find the video useful, consider subscribing to my channel or commenting below. Thanks for reading!